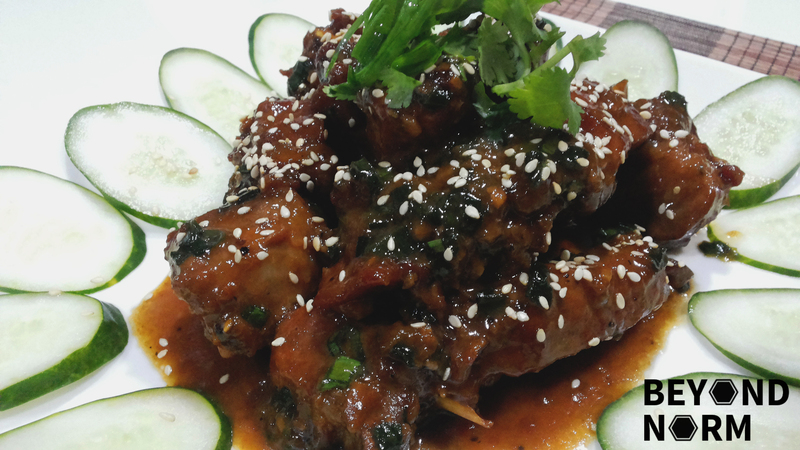 Vietnamese Caramelised Spare Ribs (Sườn Ram Mặn) is another must try Vietnamese classic dish. 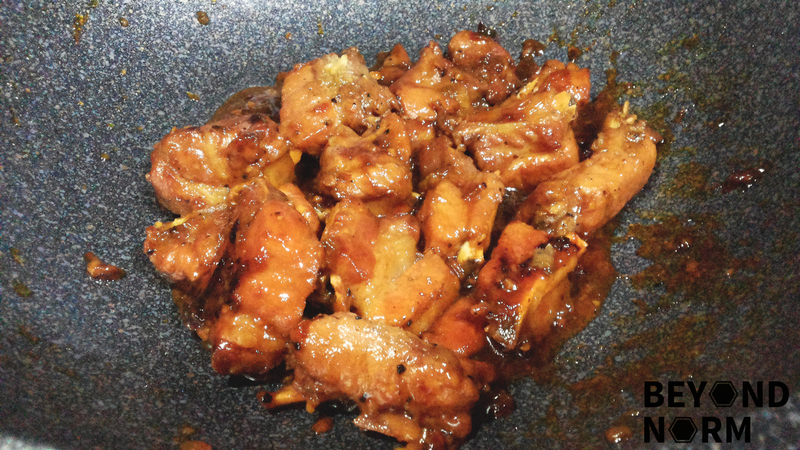 If you want a simple dinner, try this dish as it will require you to braise the pork ribs slowly until they are tender and the sauce is reduced to a thick, flavour-packed glaze coated all over the ribs. 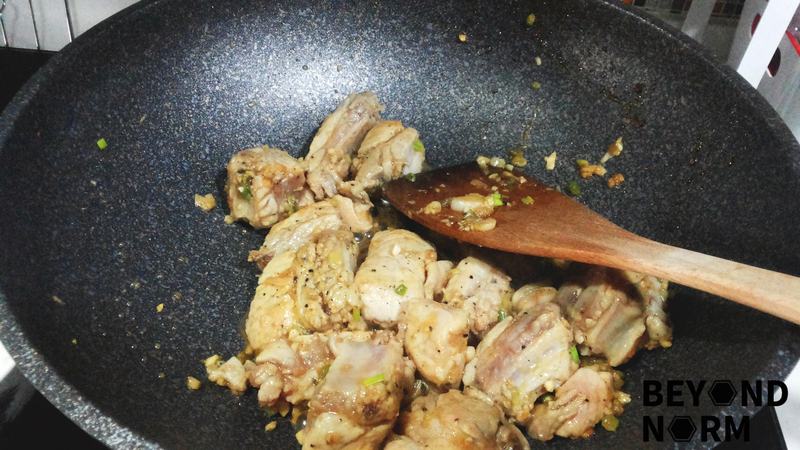 Mind you, the yummy aroma of this dish while simmering on the stove will make you hungry!! I love this dish as the caramelising has added flavour and colour to this dish. It is best served with sliced cucumbers or some fresh lettuce and hot steamy rice. Dinner is ready!!! 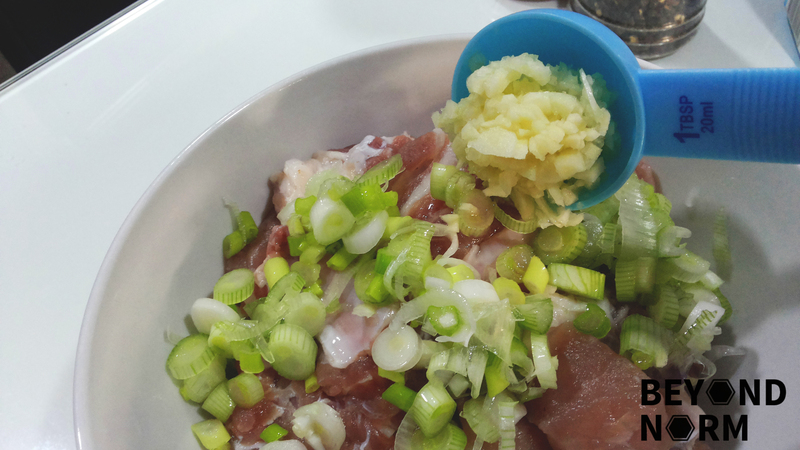 If you love Vietnamese food, don’t miss out on all our recipes! Join us via our blog or come by to our Mummy’s Kitchen Facebook Group. You can like us on Beyond Norm’s Facebook Page or subscribe to our blog via the right side bar to get the latest updates. 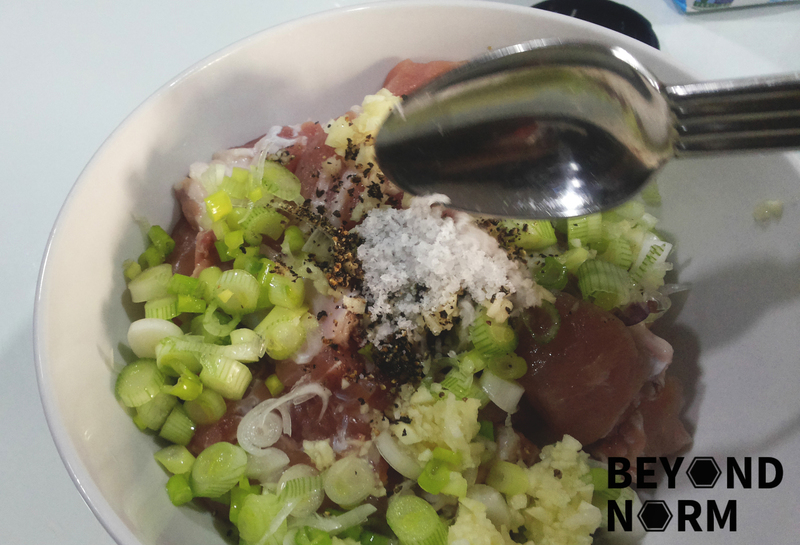 We also love to hear from you so once you have tried this recipe, we hope that you could provide us with some feedback/comments either via our blog or our Facebook page. Rub 1 tablespoon of salt on the ribs and let it sit for about 30 minutes. 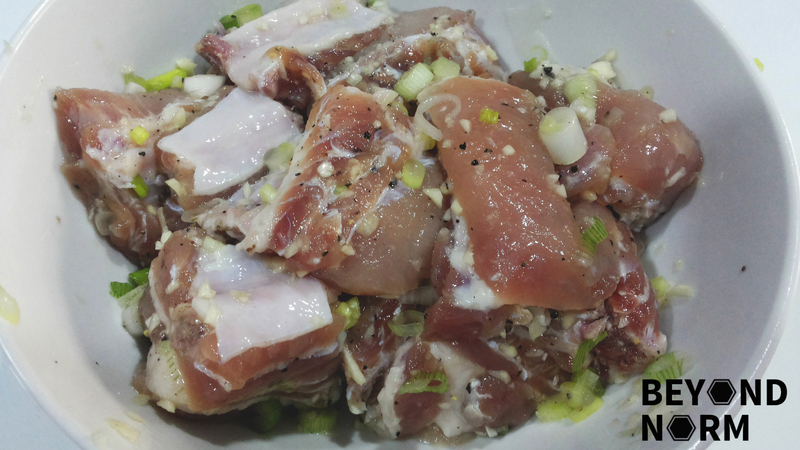 Add the minced garlic, spring onions (white part only), pepper and the rest of the salt to the ribs. Mix well and set aside for about 30 minutes. Heat a sauce pan on medium heat. Then add in the cooking oil, and sugar. If need be, gently swirl the pan. Wait until the sugar melts and it will turn into a caramel-coloured liquid. Add the ribs and stir-fry until the ribs change colour. 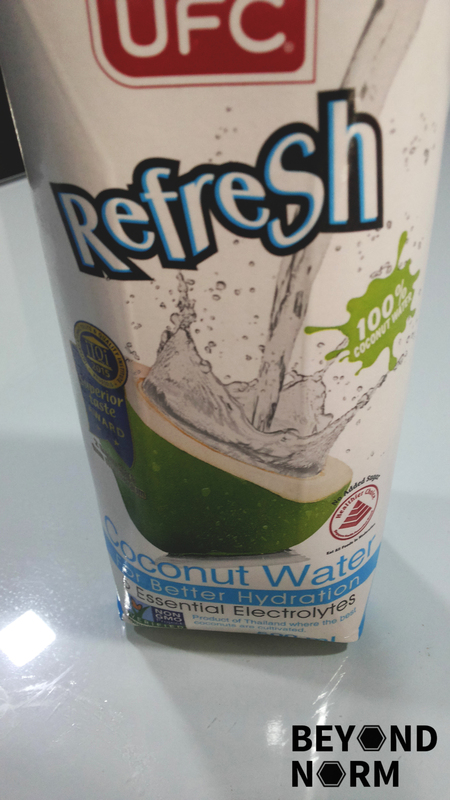 Add the coconut water (you may use water if you cannot find coconut water) and bring to a boil. Add fish sauce and stir well. Cover the lid and cook on medium-low heat for 25 minutes to tenderise the ribs. Then take the lid off and continue to simmer for another 20 minutes or until most of the sauce has evaporated and thickened. 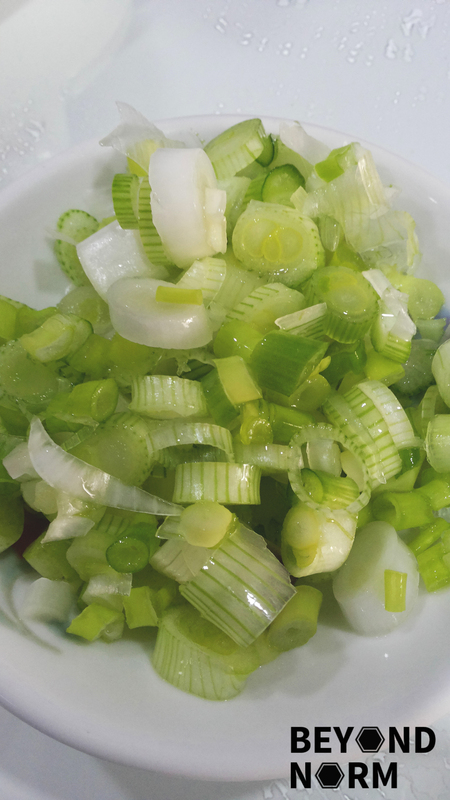 Add in the chopped green parts of the onion and mix well. Transfer to a serving plate and garnish with cilantro. Serve with hot steamed rice. My reference for this dish is from Helen’s Kitchen. I have made some minor adjustments to the quantity of the ingredients and the steps. Its a lovely dish. I always want to cook it but do not know how. 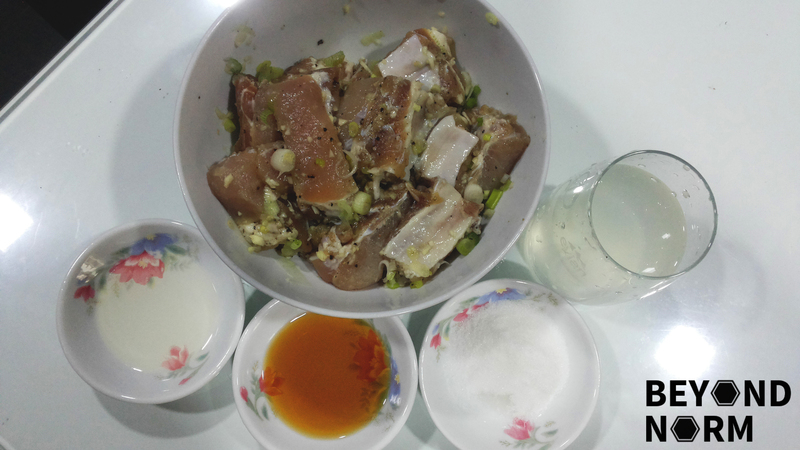 Inspite of having many Vietnamese friends, none can tell me the correct procedure to prepare it. Thank you so much, will be trying soon. Hi Mary. I hope yours turns out well! Feel free to share a picture of your results on our Facebook page. :-) Happy cooking!